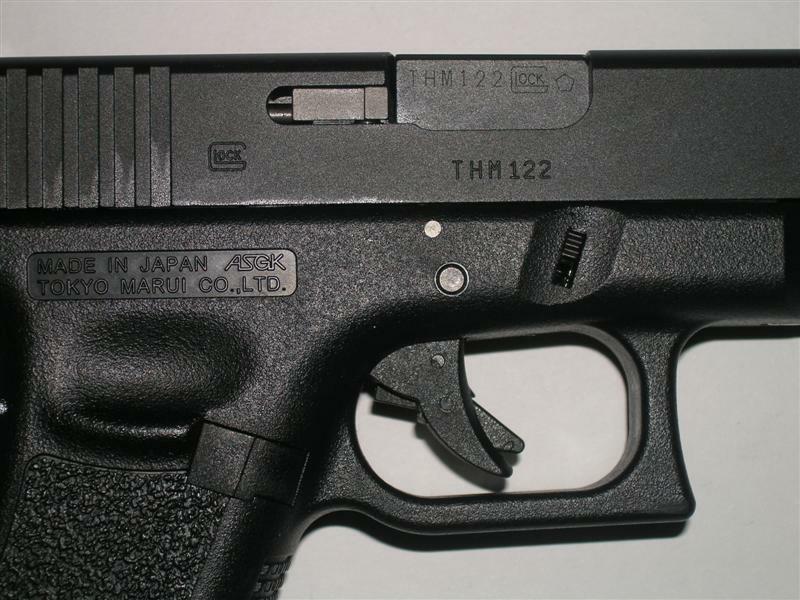 Trigger Happy Glock 17 Metal Slide . Saturday January 13th was a happy day for Tokyo Marui G17 owners as Trigger Happy decided to release on to the market an Aluminium CNC slide, now rather than the usual powder coated version available for other brands and models the Trigger happy version is anodised blue/black like the real thing. The other nice detail is just like the real slide the extractor is a totally separate piece that needs to be inserted into the slide before the blowback and loading nozzle can be installed. This again is anodised the correct colour as the real steel counterpart. The Set comes with Slide, extractor, outer barrel, recoil spring and guide rod. But for this high quality piece of kit you’re going to have to drop the cash, currently in Japan it is selling for around 16,870 JPY which in some cases is actually more expensive than the gun itself that sells new for around 12,000 JPY and currently only available in Japan.